As the presidential caucuses in Iowa loom, the Democratic frontrunners are ratcheting up the rhetoric with a flurry of ad campaigns and trading barbs with increasing snark and snarl. Yesterday, Hillary Clinton appealed to Iowa voters with a new ad titled "This House." 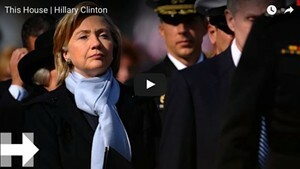 The 60-second spot outlines Clinton's case to be the next occupant of the White House, highlighting her political bona fides as a former first lady, U.S. senator and secretary of state. It also carried a not-so-subtle undercurrent of portentous gravity. It isn't quite on par with, say, the America-as-post-apocalyptic-immigrant-infested-hellscape portrayed in Republican candidate Donald Trump's pants-igniting first TV ad. But it's not exactly warm and fuzzy, either. Today, Clinton rival Sen. Bernie Sanders (I-Vt.) took a decidedly different tack with a new ad of his own. 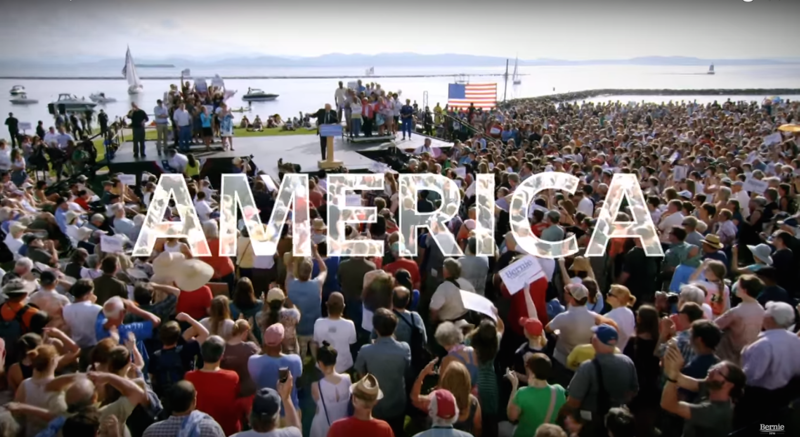 Set to the inspirational folk-rock strains of the Simon & Garfunkel classic "America," Sanders' ad appeals to a spirit of hope and unity in both tone and scope. The ad sets the scene with images of Rockwellian small towns, tugboats in a quiet harbor, farmers with cows and young folks working. As Paul and Art gently croon, we see a smiling Sanders shaking hands on the campaign trail, greeting fans with his wife and riling up enormous crowds at rallies — including his campaign kickoff on the Burlington waterfront.